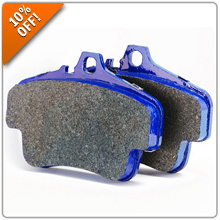 Enjoy dramatically improved braking performance with a set of Cool Carbon Brake Pads for your 986! Incredible stopping power and safe to use with your OE rotors plus Cool Carbon Pads are excellent for performance street applications as well as the occasional track day! Be sure to enter promo code CARBON15 during checkout where it says, "Have a Promo Code? Apply it now." Offer valid through June 30th! Last edited by Luccia at Pelican Parts; 07-03-2017 at 08:12 AM. BUMP! Offer extended to July 6, 2017 and updated to 15% OFF!